On Monday, Lawmakers from all levels of government, members the LGBT and Faith Communities, and residents from all over Central Florida came together in Downtown Orlando for a memorial service to honor the 49 victims that lost their lives during the Pulse Nightclub shooting that took place six months ago. It's where 49 people were killed and more than 50 others were wounded. 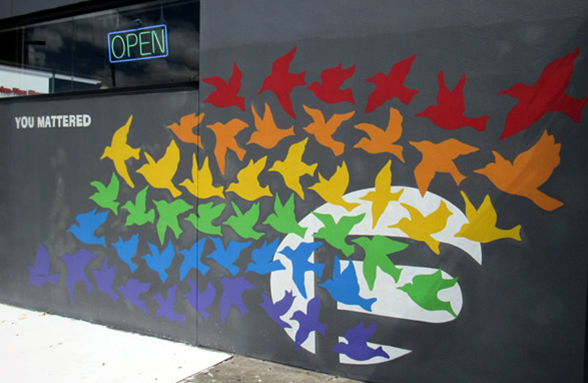 Now, Pulse is a place of remembrance. It’s also a symbol of resilience and resolve. Denise Gonzales remembers the nights she spent here with friends and the fun they had at a place where nobody ever got judged. The Orlando Sentinel reported that survivors of the June 12 massacre and friends and relatives of those who died attended a memorial service inside the fence that now surrounds the Pulse nightclub. The names of the 49 victims were read aloud at 2:02 a.m., the exact moment when the gunman opened fire.